Home Tags Posts tagged with "ruslan tsarni"
Ruslan Tsarni, one of the Boston bombers’ uncles living in the U.S., was previously married to a CIA officer’s daughter for three years. 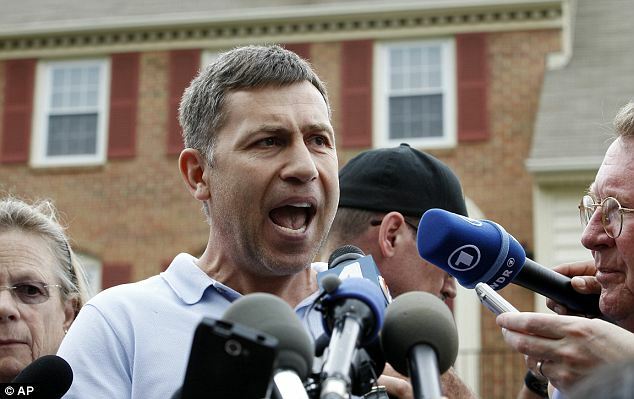 Ruslan Tsarni, formerly known as Tsarnaev, who publicly denounced his two terrorist nephews’ actions and called them “Losers”, even lived with his father-in-law agent Graham Fuller in his Maryland home for a year. Graham Fuller was forced to explain the relationship on Saturday as news of the family link emerged online. The former CIA agent told Al-Monitor that his daughter, Samantha, was married to Ruslan Tsarni, whose surname was then Tsarnaev, for three to four years in the 1990s. Ruslan and Samantha divorced in 1999 more than ten years after Graham Fuller left the CIA in 1987. “Samantha was married to Ruslan Tsarnaev [Tsarni] for 3-4 years, and they lived in Bishkek for one year where Samantha was working for Price Waterhouse on privatization projects,” Graham Fuller said. “They also lived in our house in [Maryland] for a year or so and they were divorced in 1999, I believe. Graham Fuller said his son-in-law showed no interest in the agency or politics but spoke generally about his family in Chechnya. The former CIA agent said any attempts to portray the relationship as a link between the security agency and the two terrorists was “absurd”. “Like all Chechens, Ruslan was very concerned about his native land, but I saw no particular involvement in politics,” Graham Fuller told Al-Monitor. Graham Fuller visited Samantha and Ruslan Tsarni in Bishek, as a former Russian history graduate himself interested in “Soviet minorities”. He said he may have met the terror suspects’ father, Anzor Tsarnaev, there once and his daughter knew the Tsarnaev family when Tamerlan was a toddler and before his younger brother Dzhokhar was born. “I for one was astonished at the events, and to find myself at two degrees of separation from them,” Graham Fuller added. Ruslan Tsarni, who lives in Montgomery Village, Maryland, was thrust into the spotlight as the names of his two nephews, Dzhokhar and Tamerlan Tsarnaev, emerged in connection to the Boston terror attack. He stood on his driveway and attacked the two men calling them “Losers”. Ruslan Tsarni has since reported a rift between his family and that of his brother Anzor’s and said his older nephew Tamerlan had become increasingly extreme in his religious views. He said he last spoke to Tamerlan Tsarnaev in 2009 when he declared he was dropping out of school to do “God’s business” and Ruslan Tsarni was concerned at his religious fervor. “[The bombing] has nothing to do with Chechen … He put a shame on our family, he put a shame on the entire Chechen ethnicity,” Ruslan Tsarni told broadcasters in the aftermath of the bombings. Ruslan Tsarni also told reporters that Tamerlan Tsarnaev had a friend called Misha who “brainwashed” him. “This person just took his brain. He just brainwashed him completely,” he said. FBI agents said they had tracked down Misha and believed he had no link to the terror attacks. 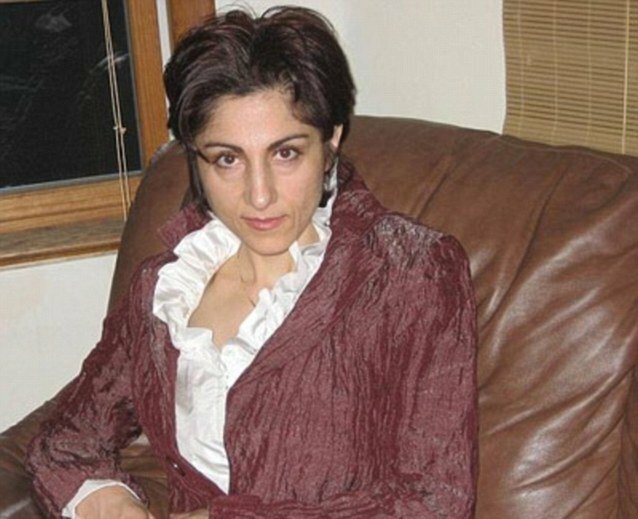 Tamerlan and Dzhokhar Tsarnaev were “failed” by their parents, especially their “controlling” mother, Zubeidat Tsarnaeva, who encouraged their move towards Islamic radicalization, claims their uncle. Tamerlan and Dzhokhar Tsarnaev looked up to their mother as an “angel” but, according to one of their uncles, she was the one who allowed them to be introduced to hardline Islamic views. Boston marathon bombers’ uncle, Ruslan Tsarni, claimed that Zubeidat Tsarnaeva allowed a firebrand cleric into their house to give one-on-one sermons to Tamerlan over the kitchen table during which he claimed he could talk to demons and perform exorcisms. 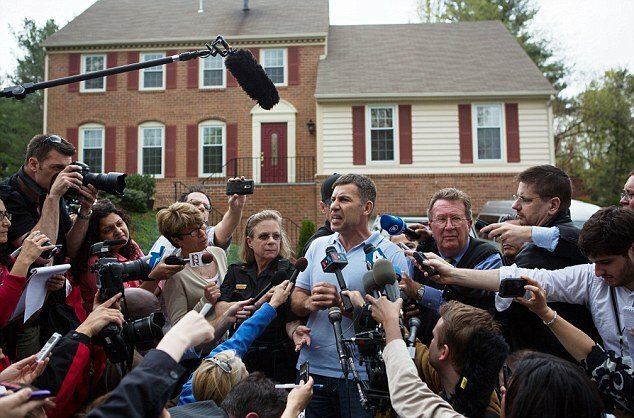 It appears that the boys’ father, Anzor Tsarnaev never stood up to his wife as she was the “boss” of their house. Tamerlan and Dzhokhar Tsarnaev’s story began in the mid 1980s when a young Kazakh soldier called Anzor Tsarnaev, now 47, met his future wife Zubeidat , now 45, whilst completing his two years of military service. Anzor Tsarnaev was aged 19 or 20 at the time and Zubeidat 17 or 18. She was from Dagestan, which borders Kazakhstan to the West. They got married and had four children. The oldest child was Tamerlan, followed by daughters Bella, now 24, Alilina, now 22, and finally Dzhokhar. In 2002 Anzor Tsarnaev and Zubeidat Tsarnaeva came to the US on tourist visas with a young Dzhokhar and claimed asylum. The rest of the family joined them a year later, having spent 12 months living with Ruslan Tsarni at his home in Almaty, the capital of Kazakhstan, where they used to go to private school and were visited every week by the grandmother. Ruslan Tsarni recalled Tamerlan Tsarnaev being a “joyful guy with a lot of ambition” during that time. The boys’ uncle said: “They grew up nice because their grandmother was close to them, our family was close to them. When the Tsarnaevs moved to Cambridge their new life was not much of an American dream. With minimal language skills their parents had to take whatever work they could get so their mother began offering facials in their cramped home. At one point there were at least seven people living in a humble semi-detached property. Another uncle, Alvi Tsarnaev, did minimum wage shifts whilst Anzor started working two jobs including at a car mechanic. Tamerlan Tsarnaev tried to make a career out of being a boxer but failed and dropped out of Bunker Hill Community College. Dzhokhar Tsarnaev however seemed to excel at school and eventually won a place at the University of Massachusetts where he was studying Marine Biology. According to Alvi Tsarnaev, Dzhokhar led a quiet life and never went anywhere other than his home on Norfolk St and his school. Ruslan Tsarni had always had Tamerlan Tsarnaev’s ear and said that like the other children he “came to America for a bright future”. He remembers seeing him in 2006 when he was 21 and had just graduated high school. Rusland Tsarni said: “He was asking me questions and I was happy to give him the answers. I told him the best way to start your way in a country, I’d start with the Army. Give [your country] something. “We’ve not been brought here, give to it. “I told him that you don’t have good English so you can’t make it to a good school, but later. He can go there, while you serve you improve your English and with English you improve your education and the Army will give you the path. That year turned out to be a turning point. After that Ruslan Tarni could no longer act as a proxy parent as he always had done. Ruslan Tsarni said: “The change of the older boy, one of the biggest causes is her. Ruslan Tsarni dismissed Zubeidat Tsarnaeva, who was arrested last year for stealing $1,600 of lingerie from a department store, as a “bad character”. Life took a bad turn for one of her daughters who, according to reports, was set up by Zubeidat Tsarnaeva in an arranged marriage. It fell apart two years later after her husband supposedly beat her up. Zubeidat Tsarnaeva’s other daughter was also married but got divorced too. Both have one child that lives with the father’s family. According to Ruslan Tsarni, Tamerlan Tsarnaev’s radicalization was well underway by 2007 – right under the nose of his mother. He claimed that the man responsible was a cleric aged around 30 called Misha and that he was an Armenian who, unusually for such a largely Christian people, had converted to Islam. As far as he knew Misha was based in a mosque that was a short drive from Cambridge and that he was new to Islam. A leader from the 50,000 strong Armenian community in Boston however cast doubt on the claim. The Rev Gregory Haroutunian said he be “stunned” if anyone in the area would have had such hatred for America. Ruslan Tsarni said: “People who lack morals but have big ambition always want some attention to themselves or certain respect to themselves. “All they do is just change a tyre. You wear a hijab and you start dropping every other word Insha’Allah and all of a sudden that makes you a godly person. “She [Zubeidat Tsarnaeva] supported it [in the boys), some really bad person [started it]. “She was not able to teach them anything. The introduction came from new Muslim convert of Armenian descent. It was in 2007 one evening around midnight as Anzor Tsarnaev came home from work to find the cleric in his kitchen, claimed Ruslan Tsarni. “It was all the same talking, God, God, how he’s talking to demons, how he’s an exorcist, how he’s healing people. Tamerlan was absolutely in his possession. All around people considered him just another prick. “Then my brother comes in from work, very late and Anzor is talking to his wife saying what is this person doing here so late? Ruslan Tsarni said he offered to send Tamerlan Tsarnaev to a school in Almaty and pay for it, but he declined. He gave him $3,000 to buy a car and drive to his home in Maryland just to watch over the house, but he did not do it. The uncle said he tried “anything but not to be with his parents” because his opinion of them was so low. He said that he would get phone calls from Ailina Tsarnaeva’s college saying she was in detention, having already been told by Zubeidat that she was in the library. Similar instances happened with Tamerlan Tsarnaev. By 2009, Ruslan Tsarni had had enough. He told Zubeidat Tsarnaeva and her family they were no longer welcome in his home. Only his brother would be allowed in were they to visit. It was the last time he would speak to his nephew. A family friend said that the split happened because Ruslan Tsarni became frustrated when his attempts to change the direction of Tamerlan Tsarnaev’s life fell on deaf ears. As Muslims, the way they traditionally resolved such disputes was that men would talk to men and that words would be said to the wife and the children. As Zubeidat Tsarnaeva was in command in her house, such pleas fell on deaf ears when made to Anzor Tsarnaev. A family friend said: “It drove a wedge between them. Ruslan couldn’t help Tamerlan because Anzor told him to stay away from his wife and not tell her what to do. “It was very upsetting for Ruslan. He loves Dzhokhar and Tamerlan so much and to not be able to do anything really upset him. “Anzor is so in love with his wife that he will do anything that she says. He will go to the ends of the Earth to be with her. At some point Anzor Tsarnaev appears to have moved back to Kazakhstan, or possibly Dagestan. Some reports have suggested Anzor Tsarnaev and Zubeidat Tsarnaeva separated but relatives claimed that they are still together. The last time Ruslan Tsarni spoke to Tamerlan Tsarnaev was in August 2009. He did not even go to his wedding to Katherine Russell, with whom Tamerlan Tsarnaev has a 3-year-old daughter, and found out about it a year or so later. Reflecting on their last conversation, Ruslan Tsarni said: “I asked him why he wasn’t at work, what happened with your college, why are you not in college. “He changed his life views and he’s on the path of God…he was all the time in the path of Jihad. “My brother lost control of it [his family] a long time ago. The mother was very influential. She says they would share everything with her, she had a very strong influence over them. She was controlling them. “Tamerlan absolutely controlled Dzhokhar, he was under his influence. This is how in our tradition, the older one has to control but take care of the younger ones. “The taking care didn’t happen and he wasted his brother’s life and he made him involved in this massacre. With no uncle to watch over him, Tamerlan Tsarnaev appears to have become even more radical and, on a personal level, more angry with the world. In 2009 Tamerlan Tsarnaev was arrested after slapping his girlfriend and leaving her crying “hysterically”, according to the arrest report, because she suspected he was cheating on her. 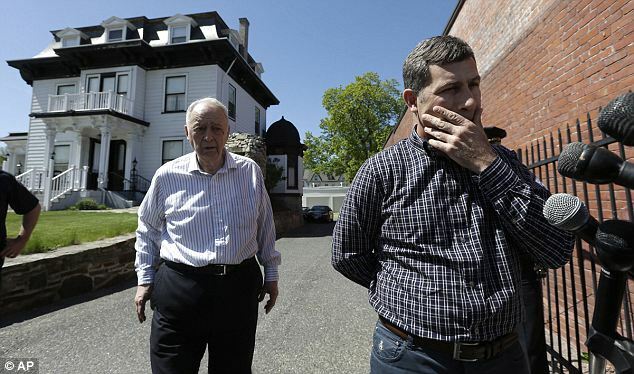 In 2012, Tamerlan Tsarnaev and his brother Dzhokhar began attending a local mosque, the Islamic Society of Boston Cultural Centre, but were not regulars. About three months ago Tamerlan Tsarnaev was thrown out after he shouted at the imam during a Friday prayer service because he held up a picture of Martin Luther King Jr. and said he was a good man who they should emulate. Alvi Tsarnaev said that Ruslan Tsarni gave Tamerlan and Dzhokhar a great start in life and ‘put those children in a good place’. But he also agreed that when it came to family affairs, they treated their mother “like an angel” – and that what she said was the law. Alvi Tsarnaev said: “They would do anything for their mother. They are not going to listen to their father but they are going to listen to their mother. “They are very close to their mother….she is the family boss. She is the boss in the family. Alvi Tsarnaev also revealed that the hate which swept up his two nephews is now reached his doorstep too. Since the bombings he has received a string of voicemail messages which have left him deeply disturbed. For her part Zubeidat Tsarnaeva is unrepentant about encouraging Tamerlan to become more religious and even brags about how it has “changed” her for the better. Zubeidat Tsarnaeva told the Wall St Journal that at Tamerlan’s request she wore Islamic clothes around the house, even though her husband did not want her to. She said: “I told Tamerlan that we are Muslim, and we are not practicing our religion, and how can we call ourselves Muslims? “And that’s how Tamerlan started reading about Islam, and he started praying, and he got more and more and more into his religion. In fact their bond was so close, that it was her that Tamerlan Tsarnaev chose to phone in the early hour of Friday morning in the middle of the gun battle with police that would claim his life.